Software Developement:: At eLogics Infotech, we have expertise on Business Applications and using our skilled ,innovative team of programmers we are in a status to upgrade share and implement our software products. Our products are widely held all over India. 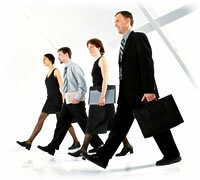 They are renowned for being platform independent ,user-friendly, flexible and comprehensive in their respective areas. We are constantly follow the market demand for inventive ideas & pioneering technologies which we can commercialize. eLogics Infotech plays a leading & efficient role in both developing and marketing products. We market directly to end-users and have direct sales presence in various cities in India. eLogics Infotech is the basis for cost-effective and state-of-the-art solutions for customers in diverse industries. The strength of the Company lies in its commendable experience in the field of marketing software & all pervading network of customer support. 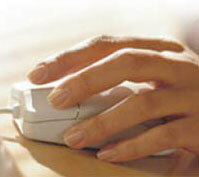 eLogics Infotech develops software solutions for its clients and also for internal use. Web Development:: Web Development & Web Application Services - Today most of the netizens have used some sort of development on the web. May it be, database applications, mail projects or even simple calendar controls. As computing gets more centralized and internet based, we will find a time that all solutions revolve around the net. The technology age is not very far off. Do you want to be there? Web Source:: The web-driven economy is poised to bring sweeping changes to the future. Along with opportunities that will dramatically change the way you do business.Is your business ready for this inevitable transformation? At eLogics Infotech, we e-transform your ideas and enterprises by blending technologies with our unique insights. Implementing our working models we partner with you to take on the future. And in the process you can take on the world!!
? 2010 elogicsonline.com All Rights Reserved.